The woman is Cha Eun-seok (Shin Min ah) who is a TV talent and movie actor. It was not that she jilted his brother on purpose, but upon a basis of misunderstanding, his hatred toward Cha Eun-soek grows more and more burning. Hallyu Star Bae Yong Joon was heavily injured while filming "The Legend" and has been diagnosed to receive surgery. Bae Yong Joon's agency BOF commented on the 16th, "Bae Yong Joon hurt his neck bone and shoulder ligaments while filming earlier this month on the Jeju Island set. Because of the tight filming and broadcast schedule, he is currently still participating in the shoots relying on painkillers." According to BOF, the hospital diagnosed Bae Yong Joon with a ruptured cervical disk and strained shoulder ligaments. The hospital strongly recommends a detailed diagnosis and surgery. The accident happened while filming an action scene of episode 17. An actor on wires fell on the neck of Bae Yong Joon causing the accident. Bae Yong Joon continued filming until the pain made it difficult to turn his head. He visited a hospital soon after but returned with painkillers and bandages to continue filming due to the tight schedule. 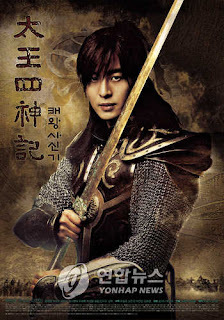 BOF says, "Bae Yong Joon's injury is currently making it even difficult to hold a sword on set. But because the drama shoot schedule is in its final few days, he is planning on being treated afterwards." Bae Yong Joon also encountered a finger injury late last month. He is currently playing the role of King Gwanggaeto in the drama series "The Legend" which will air its last episode on December 5th. Korean Wave top stars Kwon Sang Woo, Jang Hyuk, Ji Sung, and Soh Ji Sup will return to TV dramas. Kwon Sang Woo’s new KBS2 drama “Cruel Love” will be aired by KBS2 on 12/3. He has not appeared in TV dramas for 2 years and 8 months since his last drama “Sad Love Song”. Currently, he and the lead actress Lee Yo Won are filming this drama in Cheju Island, and his role and actor Kim Sung Soo’s character are involved in an awful love story. Jang Hyuk will lead the SBS Wednesday-Thursday drama “Gang of Robbers ” scheduled to be aired on 12/26. He plays the role Kwan Oh Joon who always wins women’s hearts. His counterpart in the drama is actress Lee Da Hae who plays the character Jin Dal Lae . Ji Sung will costar with Jo Jae Hyun and Kim Ming Jung in the Wednesday-Thursday drama “New Heart ” scheduled to be aired by MBC in December, following the final episode of “Four Legend of the Great King”. Similar to popular dramas “Surgeon Bong Dal Hee” and “White Giant Tower”, this medical drama portrays a story of doctors. 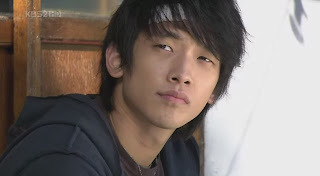 Ji Sung plays the role Lee Eun Sung , a resident chest doctor. 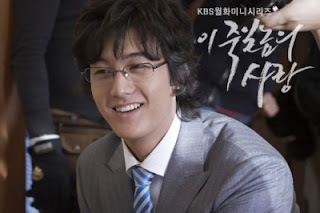 Kim Ming Jung also plays a resident doctor Nam Hye Suk . Soh Ji Sup will lead the large-scale drama “Kane and Abel”. This drama’s production cost will be around 6 billion Won. His costar is Ji Jin Hee who was the lead actor of the famous drama “Dae Jang Geum”. Actress Ha Ji-won who played the lead in the KBS drama 'Hwang Jini' received the Best Actress award at the 32nd Golden Chest International TV Festival. 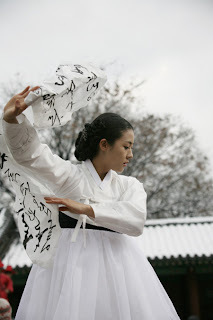 She was awarded for her effort in portraying the life and art of the famed Joseon era courtesan. The drama aired from October last year for two months. The drama also competed in the miniseries' main round at the Monte Carlo TV Festival, one of the four major global TV award ceremonies. The Golden Chest Awards, which ended Nov. 3 in Bulgaria, is hosted by the country's broadcasting commission to boost cooperation among world TV broadcasters and seek mutual understanding in drama production skills. A good drama with good music is apt to attract viewer attention. The music of the 'KBS drama Devil,' which ended airing in Korea in May, appears to have gained a large following in Japan. Since airing in Japan, the drama has seen 20,000 copies of its OST sold, which ranks high in various Japanese on- and offline OST charts and is showing explosive popularity. The 19 song album includes singing by lead actor Eom Tae-woong and the collaboration of talented musicians such as Bobby Kim and JK Kim Dong-wook. Director Im Jong-won at Olive Nine, which produced the drama, said, "OST plays an important role in boosting a drama's emotional aspect. We tried to produce good music for a lasting drama effect. OST orders are continuing to come in even after the drama ended airing, and sales in Japan and other countries are expected to grow high."